The Hyundai Tiburon was a front-wheel-drive hatchback sold by the South Korean automaker from 1997 to 2008. In its first generation, it was a more economically focused commuter car; the second generation brought a more ambitious sporty car that still was dropped in favor of not one, but a pair of new cars. The first Hyundai Tiburon bowed in 1997. With a Spanish name (Tiburon means "shark"), the hatchback was the replacement for Hyundai's cleverly named, but poorly executed Scoupe. Two versions offered different engines: base cars had a 130-horsepower, 1.8-liter four-cylinder, while uplevel Tiburons drew power from a 140-hp four-cylinder. WIth either engine, drivers had a choice of a four-speed automatic or a five-speed manual transmission. In the second model year, the 1.8-liter four was dropped, and all Tiburons ran with the 2.0-liter unit. A minor redesign came for the 2000 model year, and was built through the 2001 model year. After skipping the 2002 model year, the Hyundai Tiburon returned for 2003 with a much more handsome shape--some say cribbed from the Ferrari 456--and a more aggressive powertrain lineup, with a standard 138-hp four-cylinder and an option for a 172-horsepower V-6. The four-cylinder was offered with either a five-speed manual or a four-speed automatic; the V-6, with a six-speed manual or the four-speed automatic. Performance was decent, but the Tiburon wasn't known for crisp handling. For its size--about that of the Toyota Celica or Acura RSX or Mitsubishi Eclipse--the Tiburon was not exceptionally spacious, but it was well-equipped. 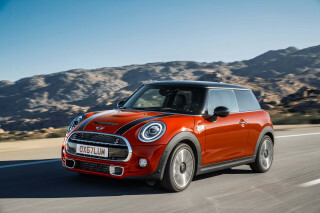 Standard features included four-wheel disc brakes, air conditioning, a CD stereo, power windows, locks and mirrors, fog lights, and alloy wheels. The GT piled on anti-lock brakes, a rear spoiler, leather wrapped steering wheel and shift knob, and 17-inch wheels and tires. All versions came then with Hyundai's long five-year/60,000-mile warranty. For the 2006 model year, Hyundai introduced a GT Limited version with leather trim. In 2007, Hyundai updated the front and rear ends of the car, reshaped the hood, and added blue lighting to the cockpit. The Tiburon SE models gained a more aggressive, "track-tuned" suspension system, cross-drilled brake rotors with larger, 12-inch rotors and stability control with Brake Assist and traction control. 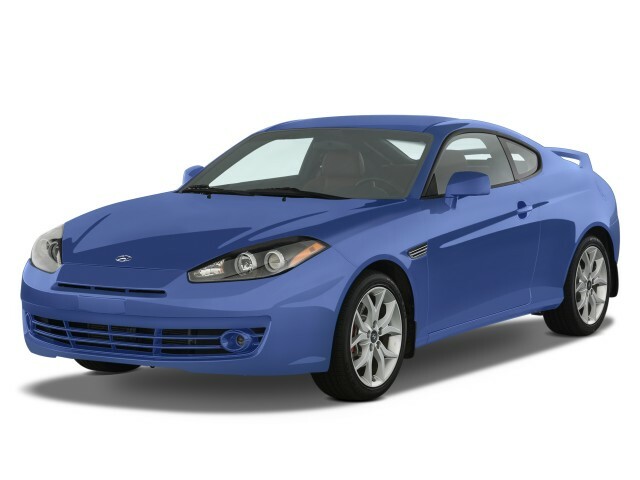 The Tiburon reached the end of the road with the 2008 model year, when it received virtually no changes. Within two model years, it was effectively replaced by the more upscale, rear-drive Hyundai Genesis Coupe--but it would also be replaced at the econo-hatch end of the spectrum by the funky-looking Hyundai Veloster hatchback. Good looking car.. good on gas but a huge money pit!